Nowhere in Sydney will you find a team like Lucia and Elise! As a Mother/Daughter entity, Lucia and Elise travel together, live together and work together… hey, they even finish each other’s sentences. With this combination of two great creatives, you can be assured of receiving the best window coverings and soft furnishings money can buy. Combine Lucia’s 26 years in the window covering industry and Elise’s background in fashion and colour, this "dynamic duo” offer all types of custom window treatments from the simple roller blind right through to plantation shutters and curtains of all types. They handle absolutely everything from the initial consultation and quote (often on the spot as Lucia used to be a school teacher), through to ordering, delivery and preparation for installation; nowhere else will you get such a brilliant melding of brains, looks, efficiency and experience. Customer satisfaction is their number one priority! At Piega’s our aim is to help you design an indoor space that is a reflection of your personality and creativity. Piega is a Sydney-based internal blinds, curtains and soft furnishing specialist. With a focus on design, quality and service, Piega offers fashionable but timeless solutions for your home. We are passionate about providing beautiful window and soft furnishings which don’t have to cost a fortune. With a mobile showroom, servicing all of the Sydney Metropolitan area, we encourage you to contact us to see how Piega can help you with your blinds, curtains, shutters and soft furnishings. SCS Blinds is Sydney's boutique window-furnishing agency, specialising in supplying and installing various blinds, plantation shutters, curtains and awnings. We have been offering exceptional standards in window coverings and innovative products for over 30 years. Tempo Interiors offers a comprehensive residential interior design and decoration service on Sydney's North Shore and Eastern Suburbs. For over 40 years we have excelled in providing uncompromising quality and service. Our team of specialists are highly skilled and passionate. As well as researching and obtaining the best of furnishings available to use, we also work with an extensive network of suppliers and craftspeople. We listen thoughtfully to our clients requirements and aim to deliver creative and individual interiors with practical advise and solutions. We aim to exceed your expectation. We offer a complimentary consultation and measure service for quotations on window treatments and soft furnishings. Should you require a more involved design service we have an initial consultation fee of $250 where we visit you to discuss your requirements. This includes a return visit to our showroom to present concepts and solutions. The fee is refundable on purchases over $5000. Often we provide alternatives that represent different costings to help you decide on where to distribute your budget. No job is too small or too large. Whether you are simply wanting to cover a window or reupholster a chair, or need help when building from the ground up or tackling a large renovation . . . we are here to help. Imagine closing the blinds in your bedroom each night at the touch of a button and being woken by gentle sunlight in the morning, at exactly the time that suits you. Somfy is the leading global manufacturer of intelligent, quiet motors, electronic controls and home automation solutions for interior and exterior window coverings. For more than four decades, Somfy engineers have designed solutions for both the commercial and residential markets to motorise window coverings such as blinds, curtains, awnings and roller shutters. Somfy's aim is to bring more happiness to everyone, everyday, everywhere, by creating connected solutions to create a simpler way of life - one that is more secure, comfortable and energy efficient. Rolletna Window Furnishings is a small boutique manufacturer of high quality internal Roller blinds, shutters and external awning and zipscreen blinds. For window furnishings that not only give you the wow factor but turn your house into a home. Whether it be a functional blockout blind or a beautiful sheer automatic curtain, Rolletna has the experience and know how to get the best results. Rolletna's unique difference is they manufacture the blinds and curtains themselves in workrooms on Sydney's North Shore. Volar Screens specialises in the installation of retractable fly screens and motorised retractable fly screens. including Centor, Brio, Motorised Screens, Zipslide, hiss, Vueline, Techroll and also the service, maintenance and repair of retractable fly screens. We can customise any retractable screen to fit your existing windows, doors, outdoor or indoor area. With over 10 years in the trade, we are a trusted installer of retractable fly screens and are comitted to find a solution to fit your needs. Volar screens take pride in all of their workmanship and presentation and will guarantee a punctual and quality service every time. Volar Screens aim consists of establishing our position in the industry as the leader in the installation and service of retractable fly screens and always striving for new ways for a better job and always expanding our product range with innovative ideas to find the best solution for you. We are open 7 days and can be contacted at anytime for anything that you might need to be answered. Our elegant, professionally fitted, cafe blinds, retractable awnings, retractable roofing or shutters will leave your friends desperate to know where you got them from. We have been designing custom, quality window furnishings for over 20 years. From motorised window treatments including roller and roman blinds and motorised curtains. We also specialise in all other types of window furnishing treatments. Our other specialities are bed spreads, bed throws, table cloths, cushions, bolster cushions and outdoor/waterproof furniture cushions. When you work with Barbara and the Martex Curtains team you will experience a warm, engaging and professional approach. Come talk to us about your home or new project. We will treat you and your ideas with the upmost integrity and professionalism. Our commitment to our clients provides immeasurable service which means your project takes your breath away. We are all about enhancing your home so that it feels special and a place to relax. Established in 1989 by owner and manager, Andrew Cook. Andrew believes in a "hands-on" approach to his business. Accent Curtains is wholly Australian owned and operated and based in Kings Park in Sydney's North-West. Accent Curtains workroom is also available to independent decorators. Our factory is located in Kings Park. We make Curtains, cushions and the like. Please contact us and we can discuss your needs. We can help you as much or as little as you need. From custom making your curtains to assisting with check measures and fabric calculations. All products in the Accent Curtains range are custom-made and Andrew provides a convenient, no-obligation, free in-home service. Andrew's extensive experience in the soft-furnishing and decorating industry makes him supremely qualified to provide practical and innovative advice. Whether you simply require a new blind for your kitchen or are decorating an entire home, Accent Curtains is your one stop choice. Hello & Welcome! Thanks for stopping by to find out more about our extensive range of blinds, curtains and shutters. StyleHouse is an award winning local business located in North West Sydney. My husband and I started Stylehouse in 2003 and to this day, we take immense pleasure in providing personal service from start to finish. All curtains are made right here in our workroom in Sydney and our installers are qualified and turn up on time! We offer a unique in-home service with a wealth of experience when it comes to measuring, quoting and importantly, advice on colour and materials. We are experts at providing the very best quality and efficient in-home service. Contact us today or let's meet up at our Studio in Kellyville! We’re a reputable curtain wholesaler and currently support a number of major curtain retailers across the country. Our team have a wealth of knowledge with over 12 years’ experience in the soft furnishing industry. We guarantee our client’s quick turnaround times with professional and quality finish. Unique Curtain Creations understand the importance of keeping your customers satisfied and will work closely with your team to ensure we maintain your brand reputation. 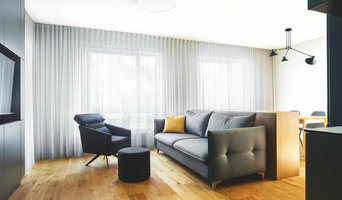 Exquisite Solutions is a supplier of bespoke window and soft furnishings for a range of projects including high end residential to hotels, hospitality venues and schools. Exquisite Solutions has a reputation built on trust, experience, professionalism and attention to detail. We work with Australia’s leading window furnishing manufacturers and soft furnishing suppliers to deliver only the very best of material quality, workmanship and installation by professional tradesmen. We pride ourselves in not cutting corners to ensure that every project performs exactly how it was intended. Contact us today and we will be happy to give you advice or a quote on any project. Window treatment professionals, designers, vendors and manufacturers often specialise in different types of window coverings. Some handle shutters and/or blinds, while others work primarily with fabric treatments such as swags and valances. Still others focus on high-tech automated shades or louvers. But regardless, your Castle Hill, New South Wales pro can advise you on the pros and cons of the material and style that interest you, as well as help you determine whether prefabricated window coverings are the best choice for your space, or whether custom versions would be ideal. If you are looking for a more tailored result - designer curtains, custom shutters or other bespoke curtain styles - A window treatment professional might work closely with a Castle Hill, New South Wales interior designer or house decorator to widen your options. Here are some related professionals and vendors to complement the work of shutters, blinds & curtains: Windows, Interior Designers & Decorators. Find a window covering professional on Houzz. 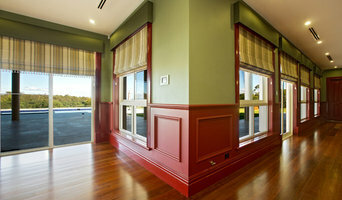 Narrow your search in the Professionals section of the website to Castle Hill, New South Wales window coverings. 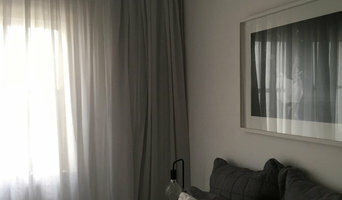 You can also look through photos to find examples of New South Wales window treatments that you like, then contact the professional who worked on them.